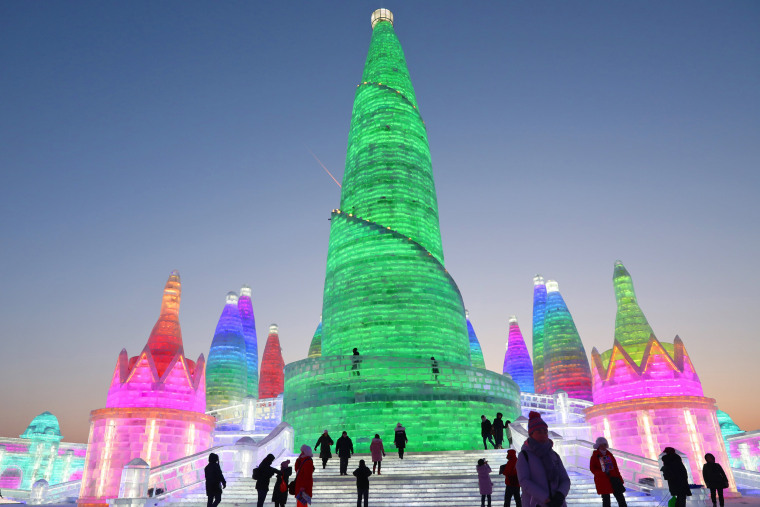 More than 2,000 ice sculptures are on display in Harbin in frigid northeast China. 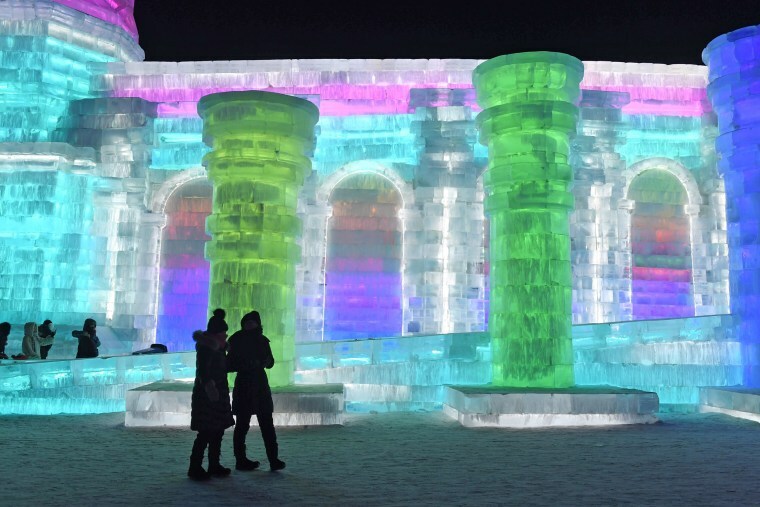 An ice sculpture created by Mongolian artists is displayed at the Harbin Ice-Snow World on Jan. 19. 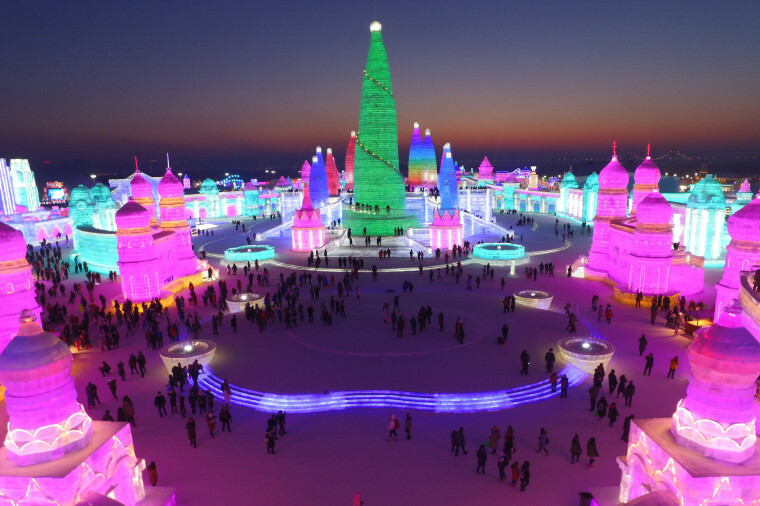 The Harbin International Ice and Snow Festival opened in early January and runs through late February. 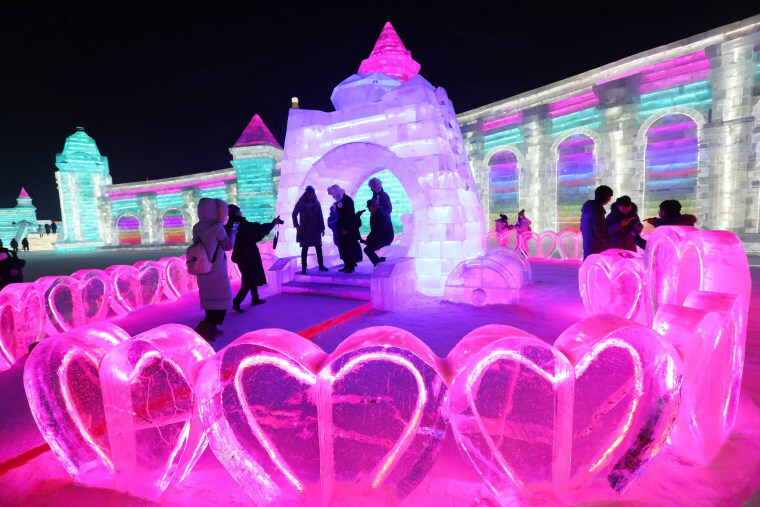 Visitors walk through an ice maze on Jan. 6. 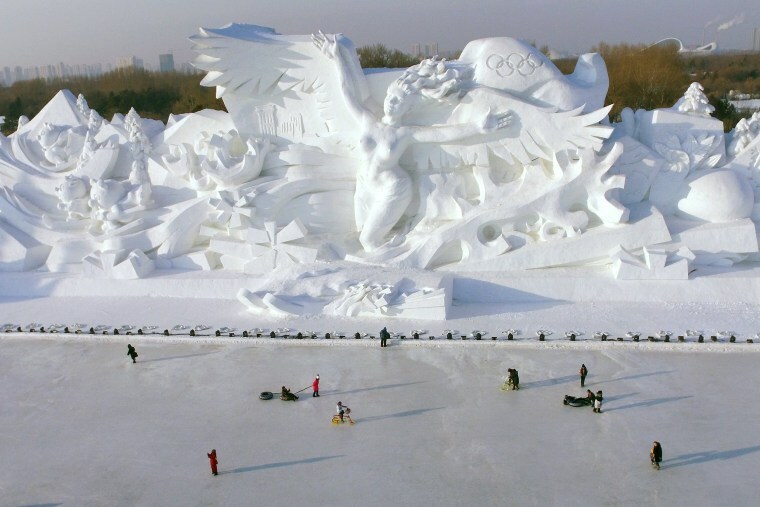 The sculptures are made from 180,000 cubic meters (240,000 cubic yards) of ice collected from the Songhua River by nearly a thousand workers. 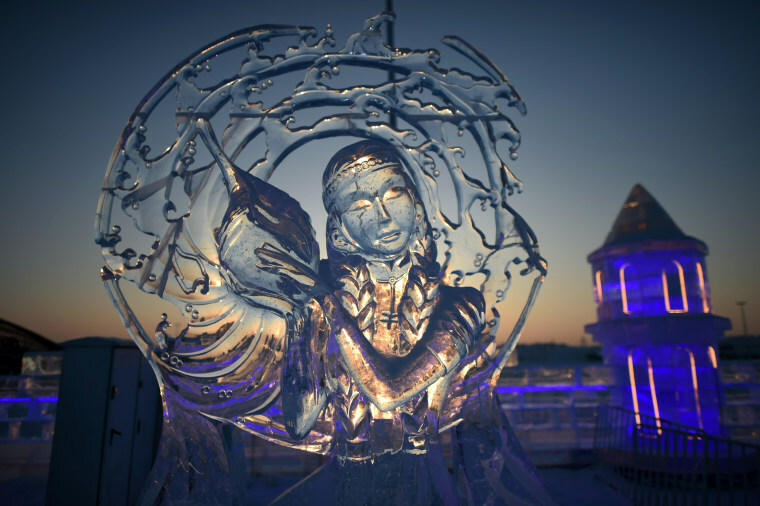 Participants carve their entries for an international ice sculpture competition on Jan. 6. 34 teams from 12 countries participated in the contest. 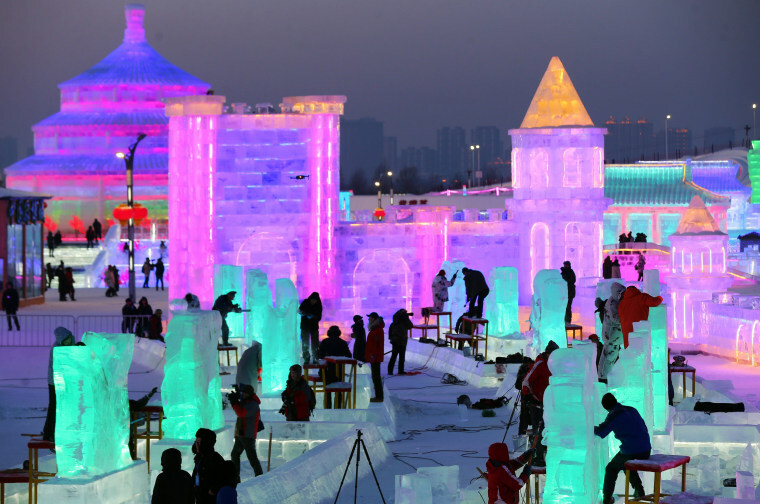 Considered the world's largest ice festival, last year's event drew 18 million visitors. 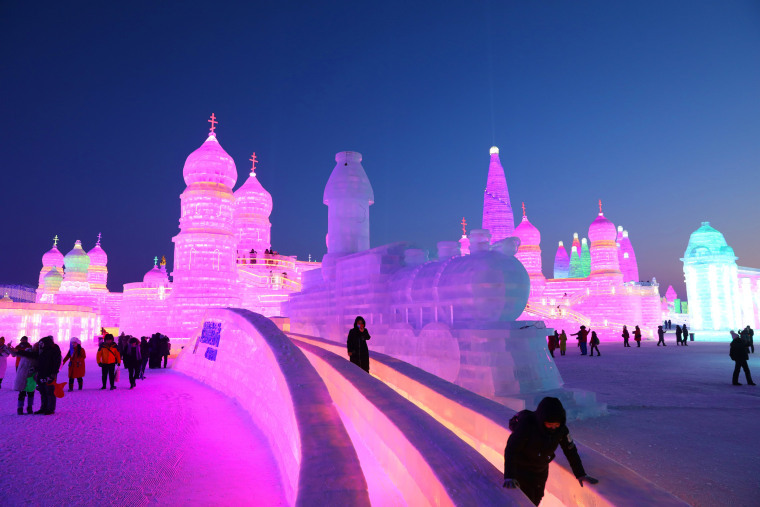 Temperatures at this time of the year in Harbin can dip below zero Fahrenheit (minus 18 Celsius). 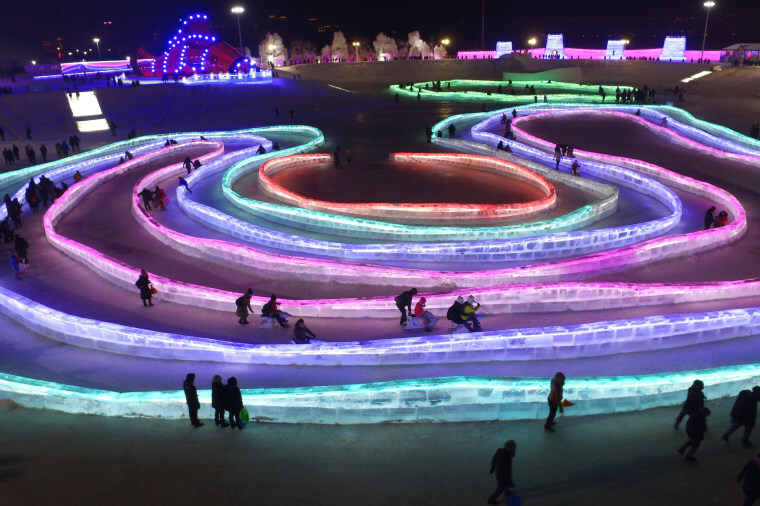 In addition to ice sculpture competitions, the festival also includes winter swimming, ice hockey, skiing and snow biking. Fireworks light up the sky during the opening of the festival on Jan. 5. 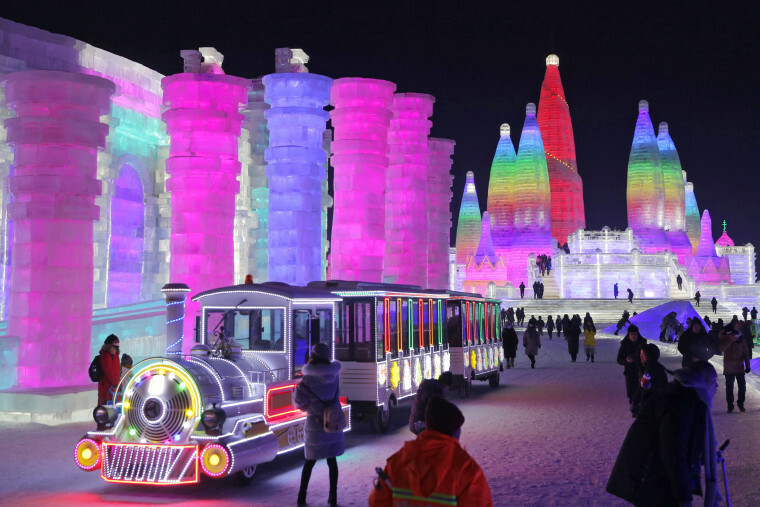 A train carries visitors through the park on Jan. 5. 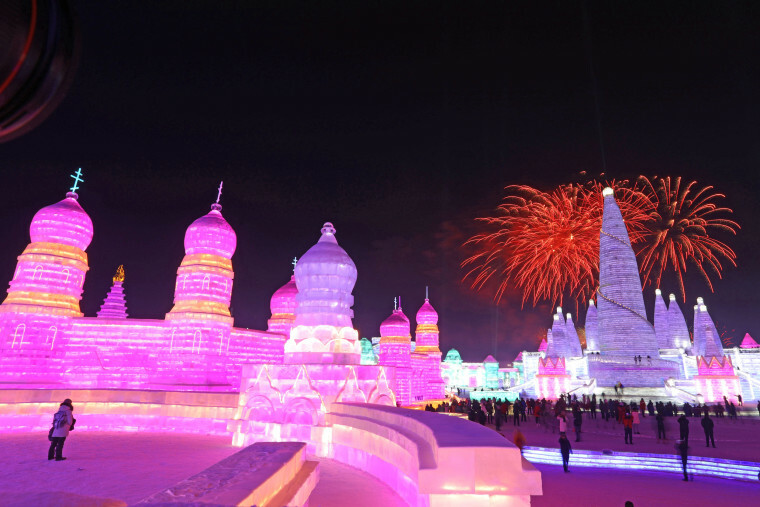 First held in 1963, the festival was interrupted for a number of years during the Cultural Revolution and didn't return until 1985. This is the 34th festival. Visitors pass onion domes topped with crosses. 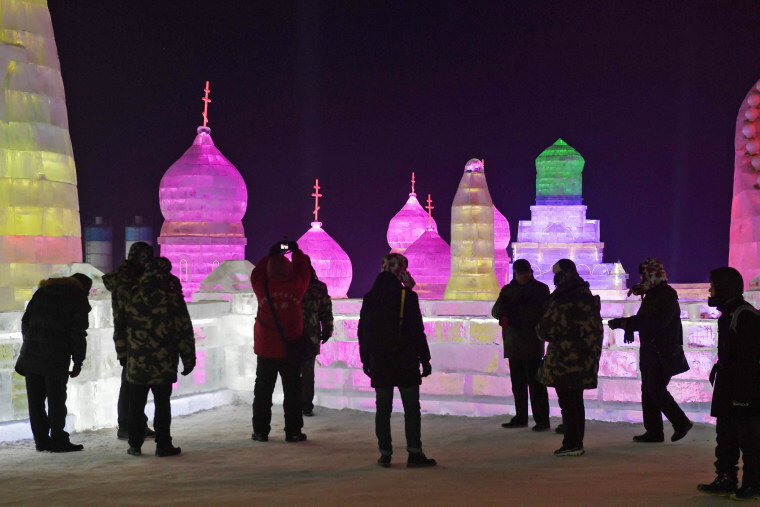 Ice sculptures of Moscow's Red Square and Bangkok's Temple of the Emerald Buddha are among the landmarks featured at the festival. 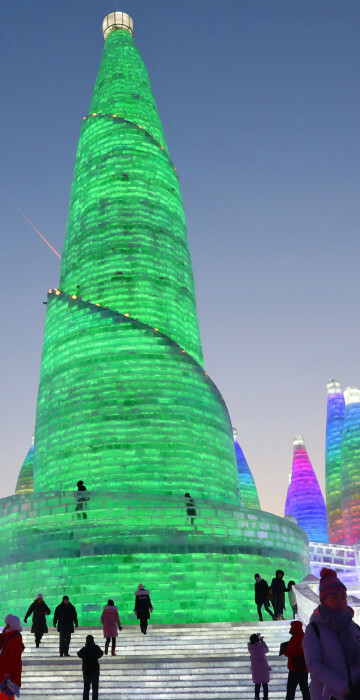 A 115-foot high sculpture looms over visitors on Jan. 5. 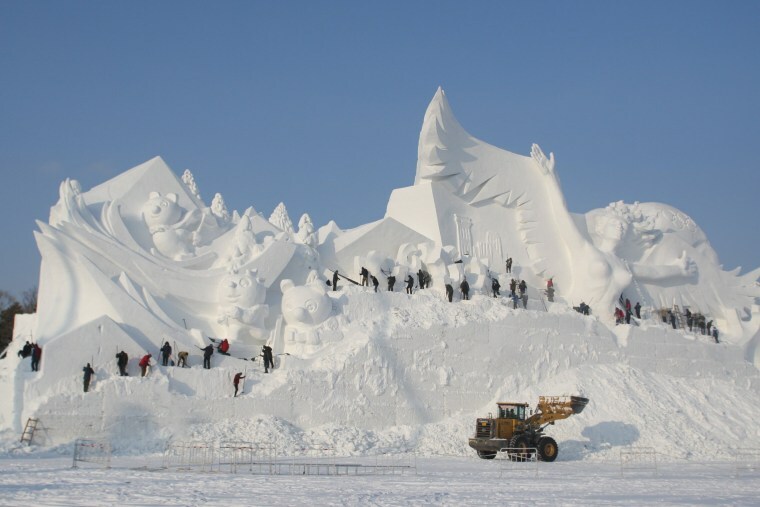 Workers prepare the giant sculpture on Dec. 10, 2017.